Many biological procedures depend on an accurate count of the bacterial colonies and other organisms. The enumeration of such colonies is a slow, tedious task. When counts are made by more than one technician, wide variations are often noted. Various attempts have been made to speed up the process and to improve counting precision. With the development of the BioLogics' AccuCount family of counters, significant engineering advancements have been made to provide greater potential for accuracy and precision in a wide range of colony counting applications. 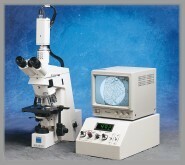 Among the technological improvements that have enhanced accuracy and precision are: 1) Significant increase in sensitivity to detect smaller colonies in low contrast media; and 2) more sophisticated and expanded illumination systems to increase the range of visibility and broadens the scope of applications. To a large extent, accurate colony counting depends on the ability to "see" colonies distinctly, whether viewed by the naked eye or by an automated instrument. Colony morphology is largely a result of the characteristics of the growth media and other environmental conditions. To enhance visibility of colonies and enhance the counting accuracy in an even broader range of applications, it is good practice to employ those procedures that form colonies that are readily discernible by their improved size, shape, distribution and contrast. 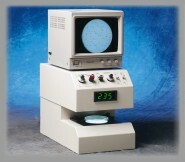 AccuCount Automated Colony Counter is a registered trademark of BioLogics, Inc.